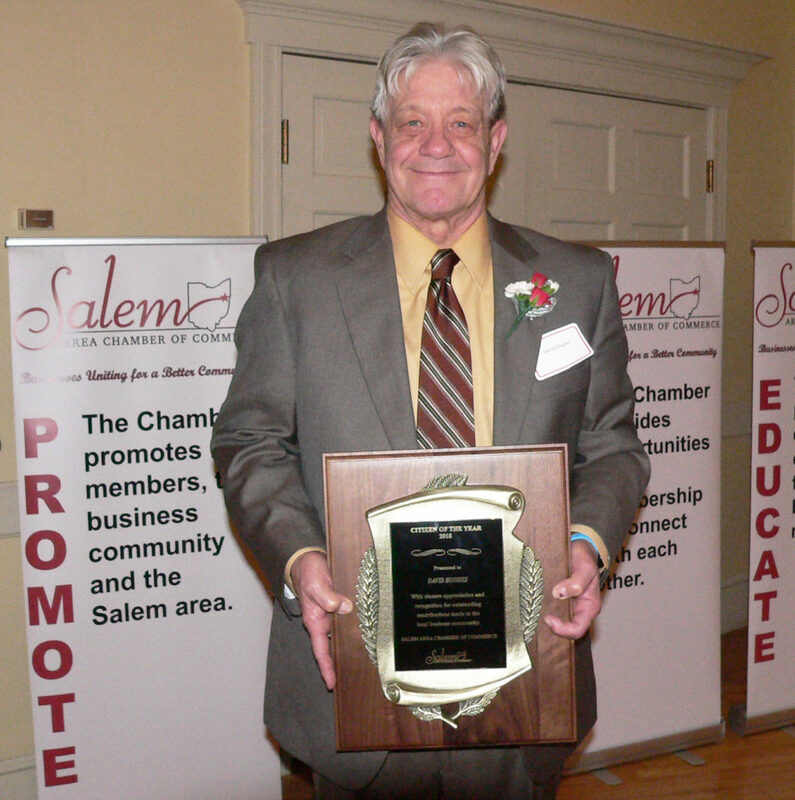 SALEM — A fourth-generation family business that’s continuously expanding, a citizen who’s a mentor in both industry and community service and a non-profit hospice that caters to patients and families first all earned honors Wednesday. 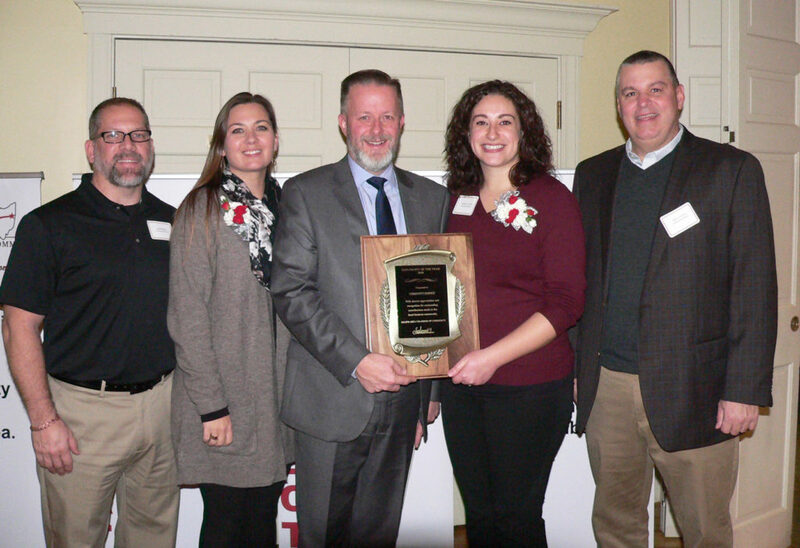 The Salem Area Chamber of Commerce named Hickey Metal Fabrication as Business of the Year, David Hughes as Citizen of the Year and Community Hospice as Non-Profit Organization of the Year during its 72nd Annual Meeting held at the Salem Golf Club. 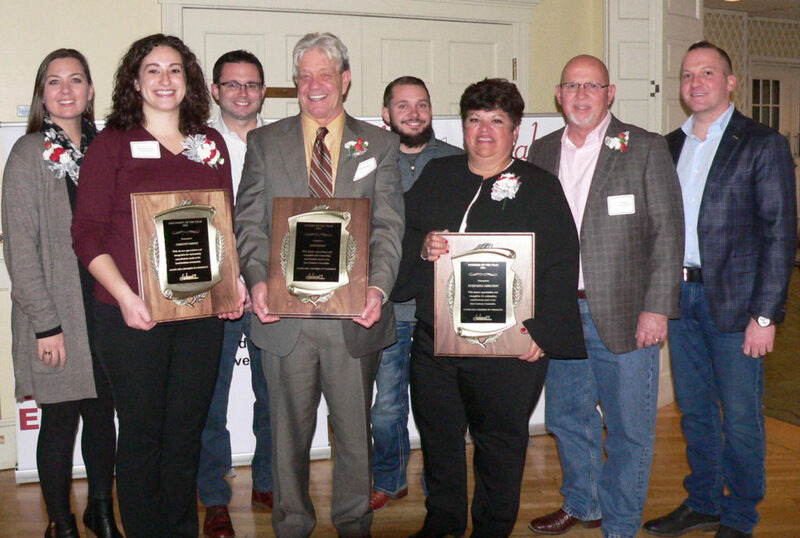 The awards recognized the honorees’ many contributions to the Salem community and surrounding area, not just for accomplishments in business. but also for selfless service to others. They’re all invested in Salem and motivated to continue contributing to the community’s success. Hughes owned and operated Specialty Fab, Inc. for 21 years and worked 47 years in manufacturing at Crucible Steel, Wheeling-Pittsburgh Steel, Bliss, Loveman Steel and Gladwin Industries before retiring. He taught adult welding at the Columbiana County Career and Technical Center and boasts a long list of organizations he has served. Hughes thanked God, his wife Tina and his family for all that he has and all that he’s done. He said he loves his Salem community, Columbiana County, the state of Ohio and being a proud citizen of the United States of America. He said he’s honored and blessed. “This recognition represents serving others, which is something close to my heart,” he said. 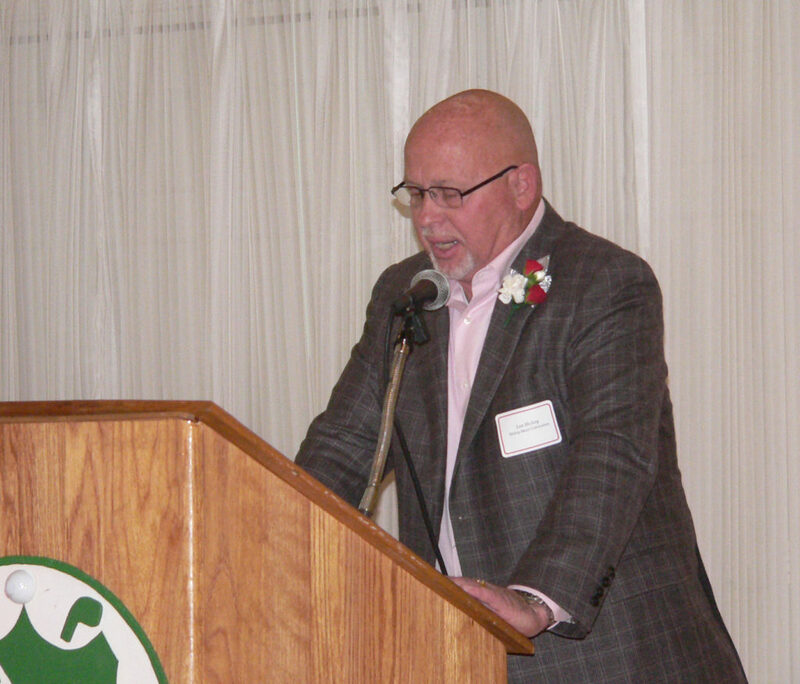 Hughes said he was taught to put people first and his business background afforded him opportunities to get involved in various groups and organizations, such as the United Way board, the Mahoning Valley Manufacturing Coalition, Leadership Columbiana County, the Sustainable Opportunity Development Center board, the Ohio Steel Structures board and the Salem chamber. Even his hobbies have provided ways to contribute, including the Outspokin’ Wheelmen Bicycle Group. He’s involved in the Men’s Rally in the Valley and Greenford Christian Church. He had mentors and now serves as a mentor himself to students and others in the community. “We must teach and encourage them and lead them by example,” he said. Hughes has been reading a book titled “The Iron Brigade” about a group of soldiers from the Civil War and noted that they made a stop in Salem and talked about how the people came out and gave them food and it made him proud. Looking at Salem today, he said there are still people donating to others with their time and contributions. Hickey said his grandfather founded Hickey Metal Fabrication in 1942 and now it’s a four-generation, family-owned and operated entity that’s constantly growing. “We’re proud of that four generations, to be able to survive over 76 years,” he said. During his remarks, Hickey introduced his wife Suzanne, who serves as corporate secretary/treasurer and his son Adam and nephews Nick and Ben Peters, who all serve as vice presidents. He also introduced their management team, some who started working there right out of high school. He said the company has been very fortunate and tries to take care of its growing family of over 215 workers. They’re adding a new product line and in six months will be looking to add another 20 to 25 people for that new product line. 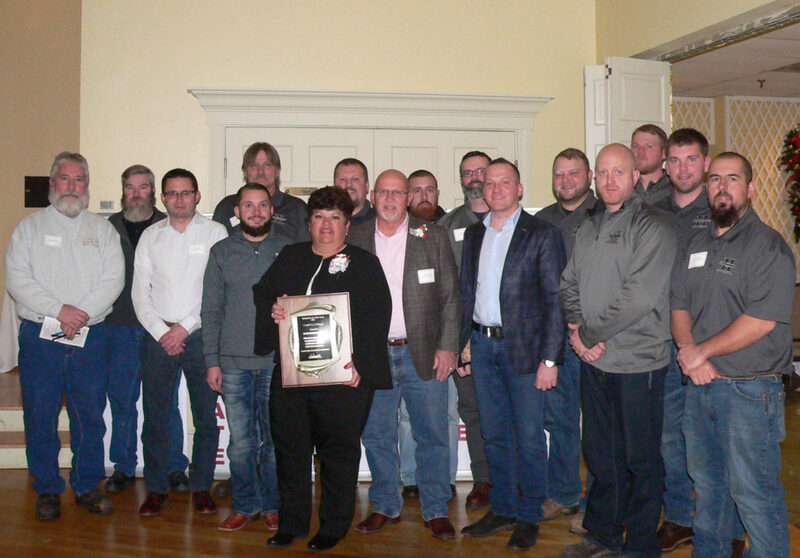 According to the company biography, what started out as a small roofing company has grown to a large metal fabricator with customers all over the USA with 445,000 square feet across six plant locations, focusing on start-to-finish metal fabrication. “We pride ourselves on being high in quality and I think that’s why we get the work that we do,” Hickey said. Community Hospice has been providing end-of-life care and support for families for over 30 years as a non-profit, community-based entity, opening an office in Salem in 2014 after recognizing a need in the area. Since then, Community Hospice has established a palliative care program at Salem Regional Medical Center and become one of the top hospice providers in Columbiana County. Community Hospice Community Liaison Jennifer Corvino accepted the award and thanked the hospice care team, board members and most especially all the families the hospice has served. “At the end of the day, the patient comes first,” she said. Not only do they receive the care and compassion they need, they also get their wishes granted through experiences — maybe they want to go see their favorite team at a ball game one last time. Community Hospice also conducts pinning services for veterans and their families. The employees get involved in the community, too. “We are named Community Hospice for a reason,” Corvino said. 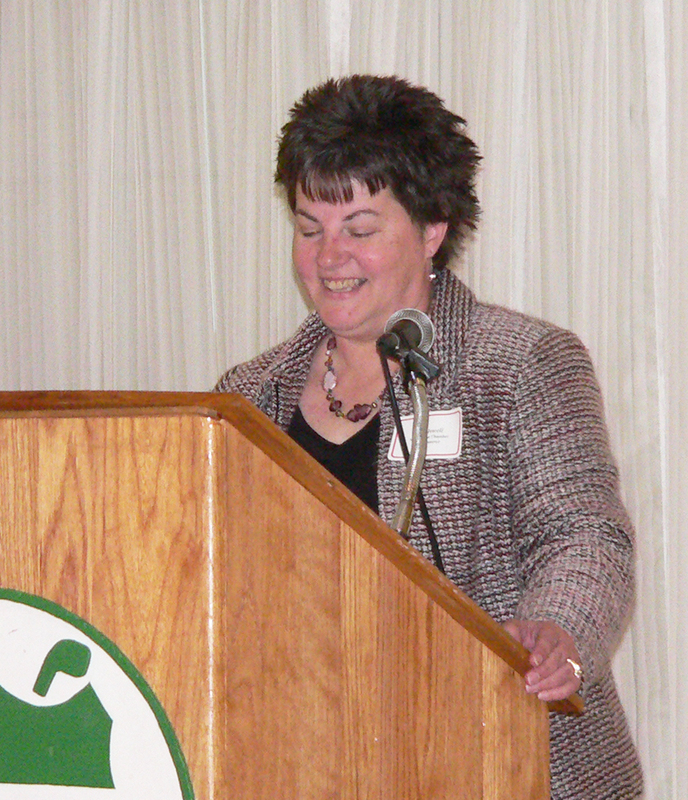 She thanked the residents of Salem and Columbiana County for the overwhelming support the past four years. Both Chamber President Dan Scarpitti and Executive Director Lori Jewell called 2018 the year of change for the chamber, with Tony Maroni stepping down as president when the year began and longtime executive director Audrey Null announcing her departure from the post once held by her father, Al Cleveland. “What she’s meant to this town and to the chamber, I don’t think I can even describe,” Scarpitti said, thanking Null for her dedication and service and her two months notice for a smooth transition. A search committee did interviews and learned that Null’s administrative assistant was interested in the job. She interviewed and had to be very patient as other candidates were interviewed before she became Null’s successor. He said the transition says a lot about Jewell being able to handle everything and hit the ground running. Jewell thanked Null for her service and her support, saying she’s been her biggest cheerleader. She said she’s looking forward to continuing the good work of the chamber.